Jay came to Blake Landscapes from the golf course management and agronomy industry in 1994. He started as a field manager and became an owner in 1998. 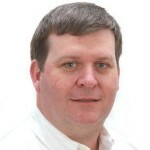 Jay has more than 20 years of experience in landscape construction, maintenance, irrigation, sales and client service. 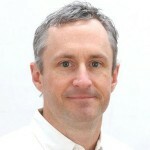 A Loudoun County native, Jay lives with his wife and four children in Leesburg, Va.
Brad joined the company in 1999 after four years with the U.S. Department of Agriculture- Agricultural Research Service Research Center. Brad is a Certified Commercial Pesticide Applicator for the Commonwealth of Virginia. 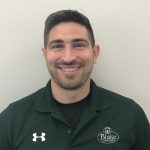 He manages all landscape maintenance and construction activities for Blake, and assures compliance with the highest standards of landscape care for our clients. Brad and his wife and two children live in Round Hill, Va.
Tom assumed management of Blake Landscapes residential services in 2005. He started his career as a superintendent with the County of Loudoun, where his responsibilities included the landscape and equipment maintenance and operation of all park facilities and athletic fields in the county. Tom’s friendly personality and knowledge of transition zone landscapes help him provide our homeowner clients with the highest possible level of service. 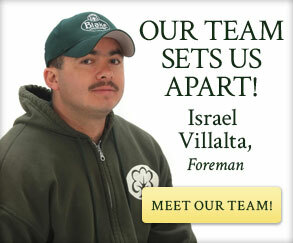 Cesar started at Blake Landscapes in 2002 as a crew foreman and is experienced in all aspects of our services. 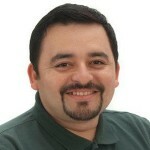 This experience helps Cesar in his role of supporting our account managers and projects teams. Cesar oversees landscape projects, inspects our clients’ properties, and ensures that any issues are taken care of quickly and efficiently. He takes great pride in his work and is committed to providing the highest levels of service, quality and expertise to our clients. 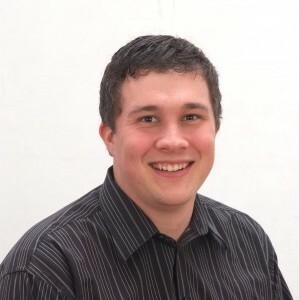 Andrew joined the company in 2012 as an intern. After completing his degree in Business Administration at Shenandoah University, he joined the staff full time as a Project Manager. Now as the controller his main responsibilities include accounting, business and contract management. A Maryland native, now lives in Lovettsville with his wife and 2 children. Jonathan came to Blake Landscapes from a larger commercial landscape company based in Maryland. He started as a field manager and became an account manager in 2015. His main responsibilities include landscape enhancements, property inspections, client service and business development. A New York native, now lives in Lovettsville with his wife and 2 children..
Paul Tilley began his career at Blake Landscapes on a part-time basis servicing our equipment and trucks in 1994. He became our full time mechanic in 1998. 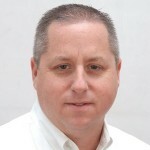 Prior to joining Blake Landscapes, Paul worked in the automotive parts and supply industry. His responsibilities include planning, organizing and directing functions and activities related to the procurement, servicing, operation, maintenance and repair of all Blake-owned power equipment.